In this passage Jesus uses two metaphors, the first of which describes Herod as a fox, as someone cunning and destructive. 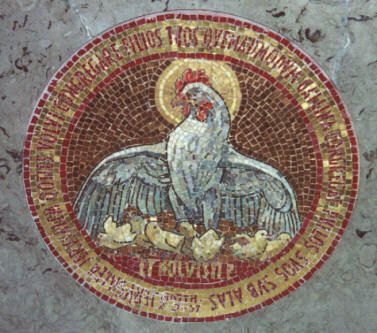 The second metaphor helps to clarify the first, as Jesus describes himself as a hen protecting her chicks. Those sisters and brothers living in more agrarian communities will recognize the dichotomy that Jesus is setting up here: God is a compassionate, strong mother protecting her children, an image contrasted with Herod who as a fox has set out to kill the young chicks. While Herod himself is long gone, who do you think are the Herod’s of our own time? As we prepare to work toward the elimination of all forms of violence against girls and women at CSW, we pray that God works through our advocacy to protect all Her children.